VMI football held a second spring scrimmage Saturday afternoon at Fiorini Field and both offensive and defensive units turned in big plays. The scrimmage had 50 plays and was conducted under sunny skies and warm temperatures. Linebacker Connor Riddle started the scoring when he stepped in front an attempted screen pass and returned it seven yards for a touchdown on the third offensive possession. The defense also stepped up the next series when a sack by defensive tackle Noah Delaney Manuel halted a drive on downs at midfield. The offensive unit produced its first points on the fifth drive when it moved 45 yards and generated three first downs before quarterback Reece Udinski found tight end Patrick Dolan alone for a five-yard TD pass. Udinski capped the scoring on the last play of the scrimmage when he threaded a 21-yard scoring strike to wide receiver Kris Thornton. Defensive leaders included end Ryan Clark with five tackles including two-for-loss and defensive back Riuq Trotman with four stops. Defensive lineman Jarrod Richmond added a sack and a tackle-for-loss. 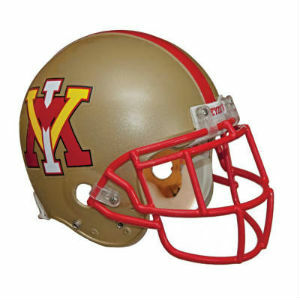 The Keydets will hold three practices next week with workouts scheduled for Monday, Wednesday, and Friday.Friday’s practice will include a scored overtime scrimmage.